Last weekend, I had the pleasure of attending my first SAM Remix. It was quite a party. Seattle Art Museum originally created this event in hopes of appealing to the younger crowd (18-35). Since then, it has gained popularity. Think of it as a huge party inside the Seattle Art Museum, where you can drink, dance, roam the galleries, and participate in some interactive art exhibits. They have this event three times a year and each time it is different. 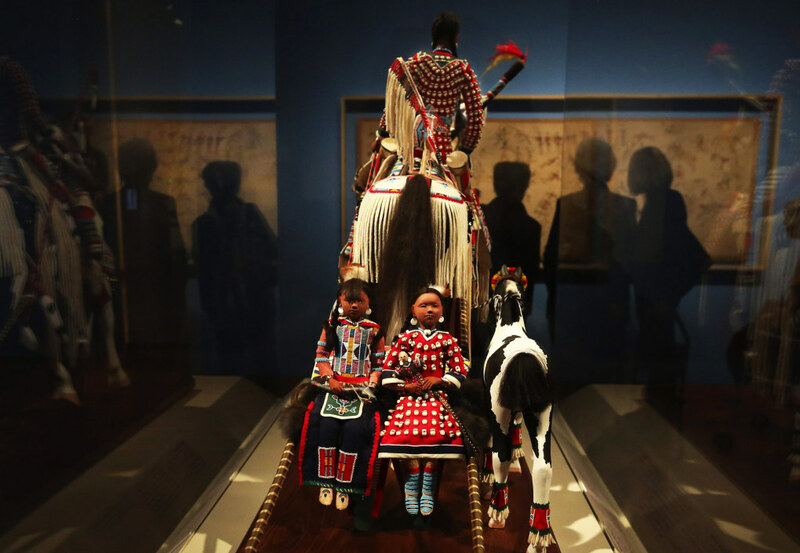 Currently, the art Indigenous Beauty: Masterworks of American Indian Art from the Diker Collection was featured. This work shows beautiful artifacts and art of the American Indian. It was a delight to see. There were two dance floors that I noticed and both played great hip-hop and R&B spun by DJ Doc Adam and dj100proof. The floor was packed with people eager to dance. Some other activities included creating silhouettes with artist Alicia Betty, a different kind of tour led by Neuroses, as well as highly opinionated tours led by artists and special guests. There were many other activities to choose from but the night got away from me. I will be sure to attend the next SAM Remix this Summer at Olympic Sculpture Park. For more info on Seattle Art Museum. Sounds like time well-spent with music, dance and enjoying some cultural exhibits all at the same time!